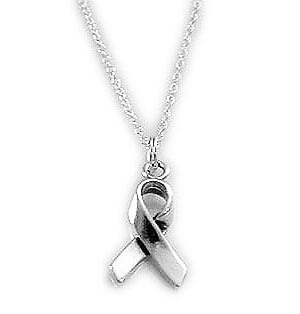 The necklace starts at $39 with a Ribbon charm. My new ribbon charm is a litttle bit different. I will send you a picture before I ship your necklace. You may add as many charms as you would like. Everything is .925 sterling silver. The necklace is a sterling silver and you choose the length and style. A rolo chain is shown.